Imagine out of this world adventures with the nano SPACE COSMIC COMMAND playset from HEXBUG. 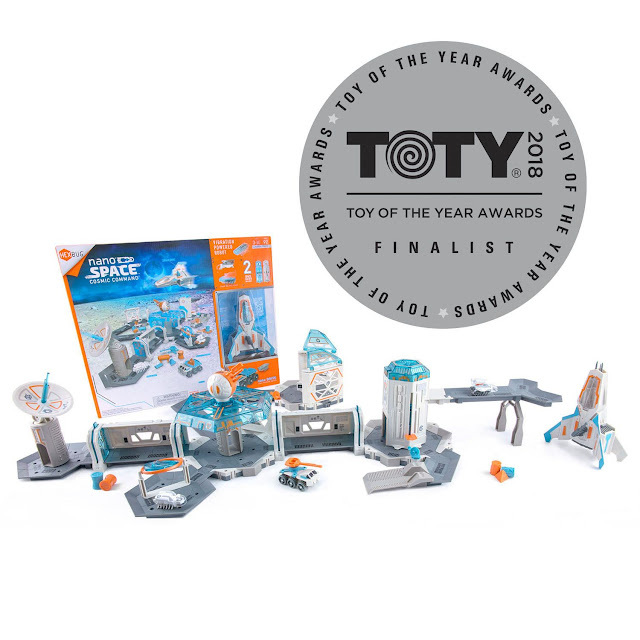 This fun playset that was a finalist for the 2018 Toy of the Year (TOTY) Awards combines three of my son's favorite things ... bugs, robots and outer space. 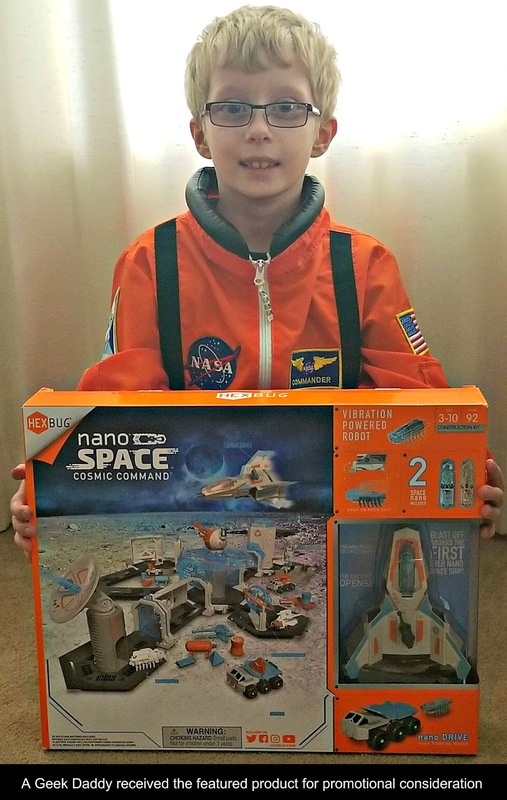 Blast off to adventure with the nano SPACE COSMIC COMMAND which includes a space station, explorer rover and rocket ship along with a pair of robotic nano HEXBUGS. HEXBUG nanos are tiny, collectible, robotic creatures that use the physics of vibration to propel themselves. Powered by a tiny motor and 12 fixed, angular legs these critters traverse about the environment around them. Watch as they explore the maze-like layout of the SPACE COSMIC COMMAND buildings. 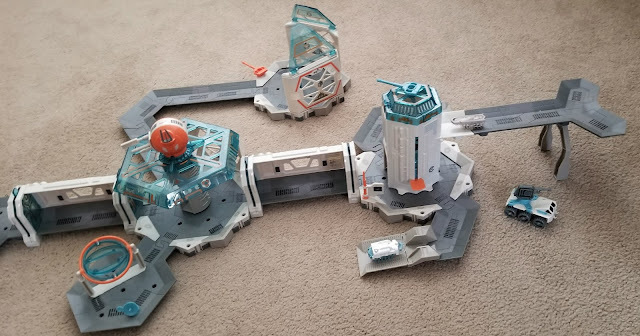 Features of the SPACE COSMIC COMMAND include air lock tunnels, an elevator, gravity trainer, communications and scanning dish, along with an ion cannon. 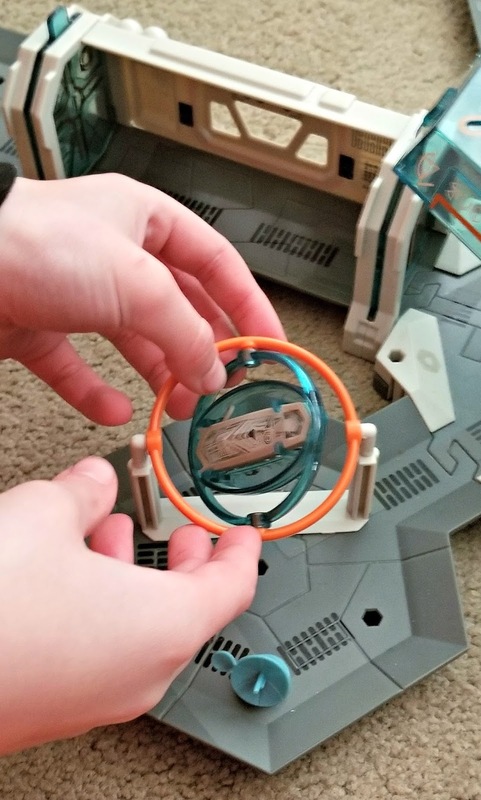 This playset isn't just for watching nanos explore it but also to get kids engaging in imaginative play. Pretend a nano is getting accustomed to the stresses of rocketing into outer space by spinning it around in the gravity trainer. Protect the base from invaders with the ion cannon. Explore alien environments by entering and exiting the space station through its air locks. There are also a number of accessories that come with the playset that compliment the space station. Snap on one of the included space suits to a nano to give it an astronaut looking appearance. 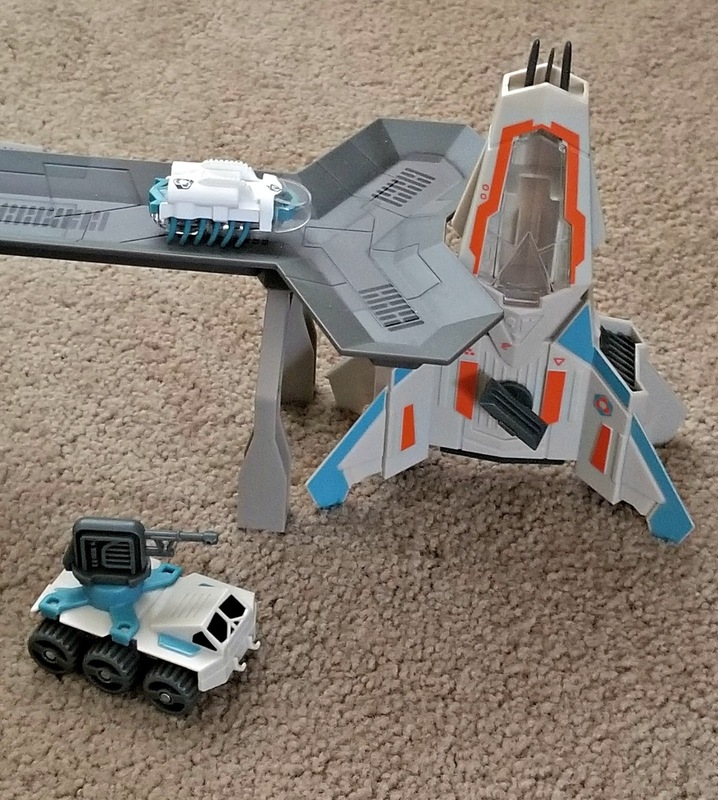 Put a nano underneath one of the explorer rovers that can be customized with snap-on parts for a variety of different looks to have the creature drive the vehicle across the ground. Pretend to fly the rocket ship with a nano placed inside the cockpit. Designed to spark kids' interest in the science behind space exploration, HEXBUG nano SPACE COSMIC COMMAND provides hours of entertaining playtime that promote an interest in STEM (Science, Technology, Engineering & Math) topics while children are having fun. 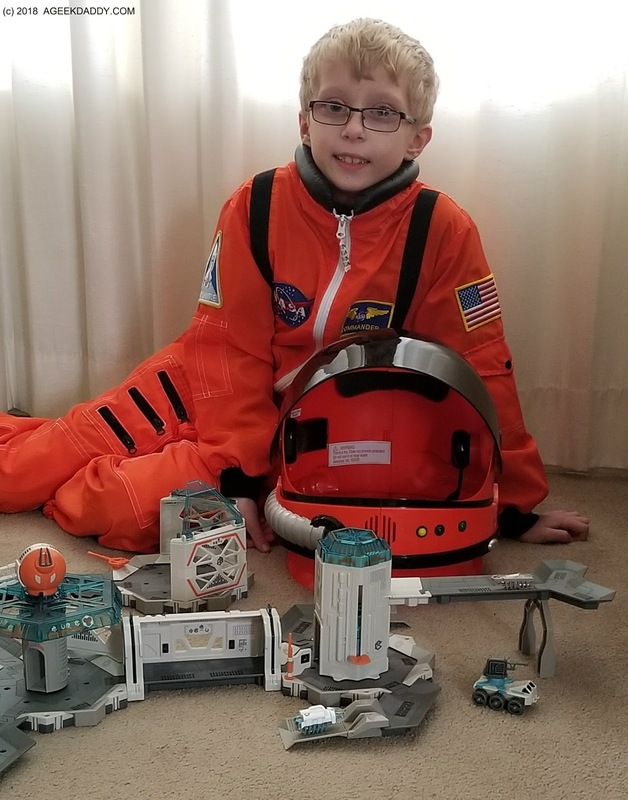 My son has been having a great time playing with the nanos and all the accessories, structures and vehicles that are included in this playset. 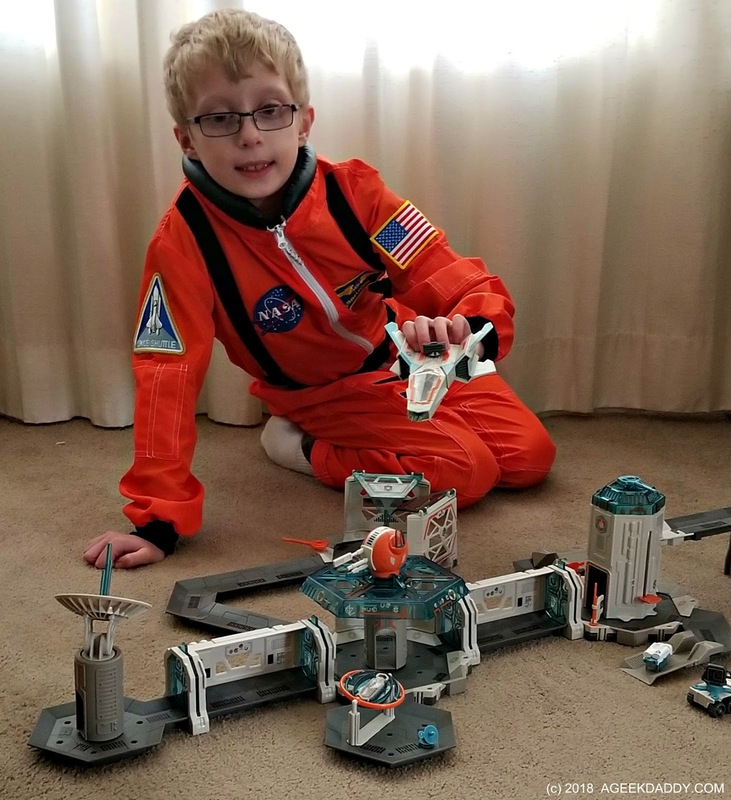 This toy has captured his interest and imagination so the HEXBUG nano SPACE COSMIC COMMAND playset has earned A GEEK DADDY nod of approval. To share my future astronauts enjoyment with this playset, A GEEK DADDY is giving a HEXBUG nano SPACE COSMIC COMMAND to one lucky winner. It has a suggested retail price of approximately $50.00 and is recommend for children ages 3 and up. Batteries for the nano toys are included. Who wants it?! Just complete the rafflecopter entries below before 11:59 pm ET on Friday, May 11, 2018 for a chance to be our randomly selected winner. Must be a United States resident over 18 years old to be eligible for the prize and yes we do check to verify that you actually completed the actions requested in the rafflecopter form. Must reply to notification of winning the prize within 48 hours to accept it or another entrant will be selected. Good luck to all our entrants!